The classic film 200 A Space Odyssey played on the fear that computers would soon become conscious, independent, and dangerous to humanity. A fear of computers is not just the stuff of scifi nightmares but also is shared by Stephen Hawking, Elon Musk, and Bill Gates. They need not worry. While Kubrick, Hawking, Musk, Gates, and the rest of us should be afraid of what some people armed with supercomputers and artificial intelligence can do to us, we have no need to fear what the computers ... See More themselves can do. A groundbreaking mathematical discovery in 1930, and its implications for computer science, can put our minds at rest. 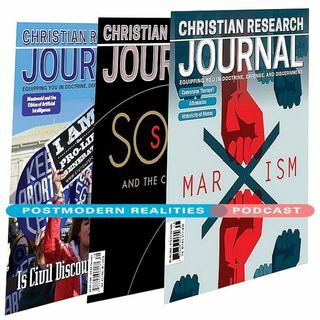 This Postmodern Realities episode is a conversation with CHRISTIAN RESEARCH JOURNAL author Charles E. White about his philosophical apologetics article Whos Afraid of HAL? Why Computers Will Not Become Conscious and Take over the World.